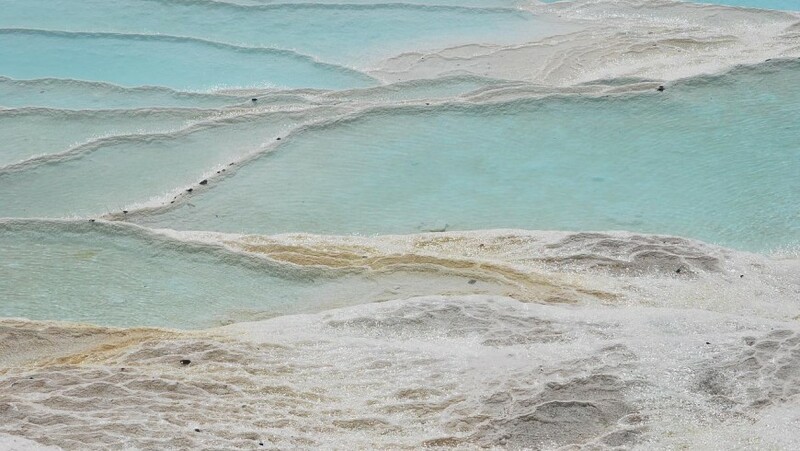 Water heated by the Earth, that springs from the deep, in the midst of breathtaking landscapes: they are the most beautiful hot springs in the world, heavenly places to enjoy the healing properties of hot sulphurous water, for a journey of relaxation, without spending a dime! These natural hot springs of volcanic origin are among the largest in the world and certainly among the most beautiful ones. In the middle of the mountains, the water gushes at 41 degrees, in a truly breathtaking scenery. It seems a surreal place, enchanted. Its name means “Cotton Castle” and the marble cliffs, where there are the natural pools, seem boundless cotton fields. A World Heritage Site that you shouldn’t miss! Green Tip: explore Turkey and its UNESCO heritage. From Pammukkale to Cappadocia, where a quaint and organic B&B awaits you. 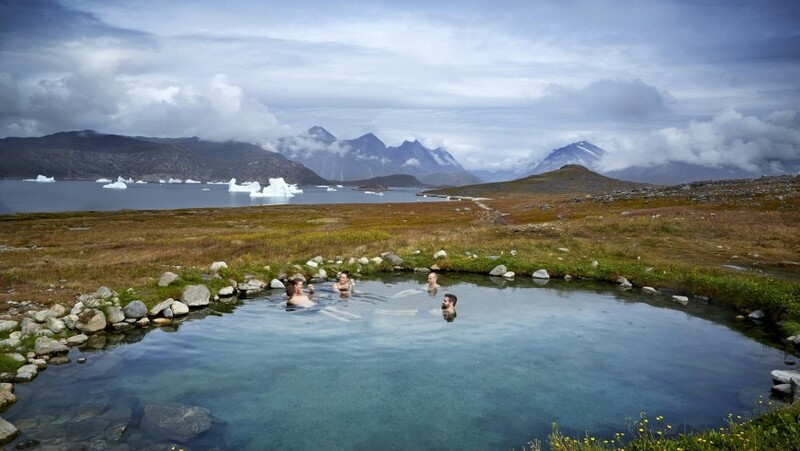 Even in the cold winter in Greenland, you can undress and take a bath. The island of Uunartoq and its small thermal bath is a unique place in the world, which does not seem to belong to the planet. Only one Inuit family lives these wild places, among the melting icebergs, the sunrise over the snow-capped mountains and whales. 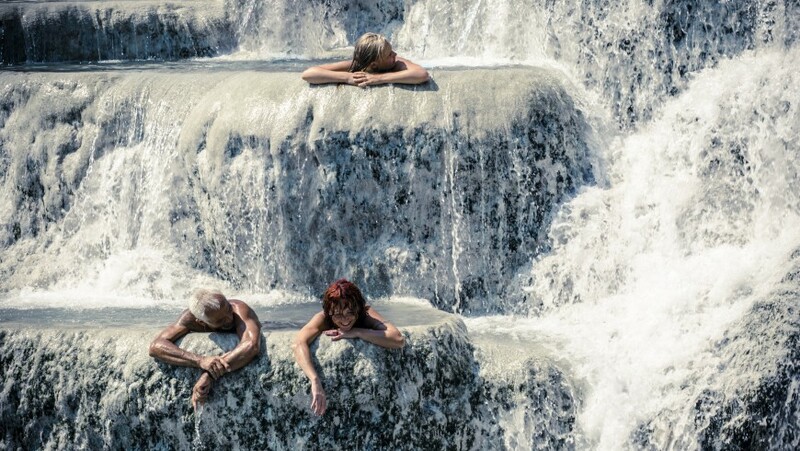 In Italy there are many natural hot spring. Among our favorites there are definitely those of the town of Manchester, where the sulfur waters gush out at 37.5 ° in a pristine nature that will leave you breathless. Green Tip: close to the natural spa of Saturnia there are several eco-friendly accommodations. Book now the one you like more here! It is considered the largest natural thermal lake in the world and, thanks to the power of the water stream, every 28 hours all the water of the lake is completely replaced. A world of water and water lilies. Green Tip: for your trip to Hungary, leave the car at home! With one of the oldest railway lines in Europe, train travel in Hungary is simple. Even the Lake Hévíz is reachable by taking the training the bus. 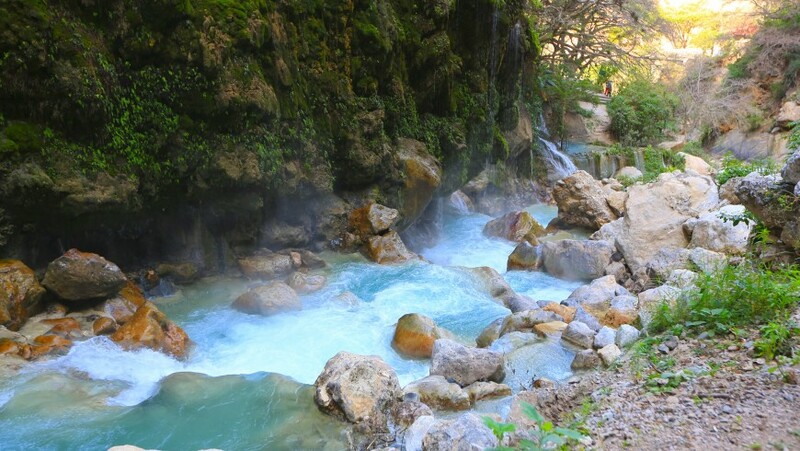 Between the mountains and a lush green, in the region of Hidalgo of this South American Country between rocks and waterfalls, in caves, wonderful thermal water pools are hidden. Green Tip: you want to organize a trip to Mexico wonderful in full respect of nature? Discover all the eco-friendly tourist accommodations! The pleasure of a hot spring together with the sound and smell of the sea? In New Zealand you can do it! It is a SPA on the beach, by the sea. 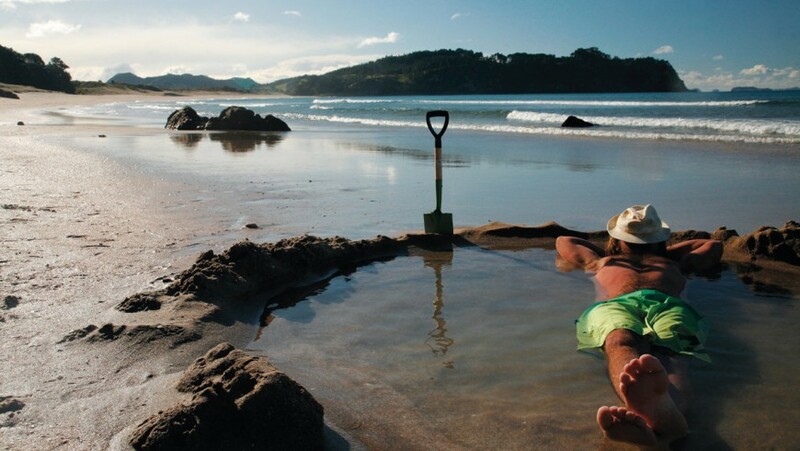 Hot Water Beach is a unique place in the world: digging with your hands in the sand you can create an individual spa pool. Green Tip: B&B shaped like a boot, glamping along wild rivers reservation now at the beautiful New Zealand eco-friendly accommodations! 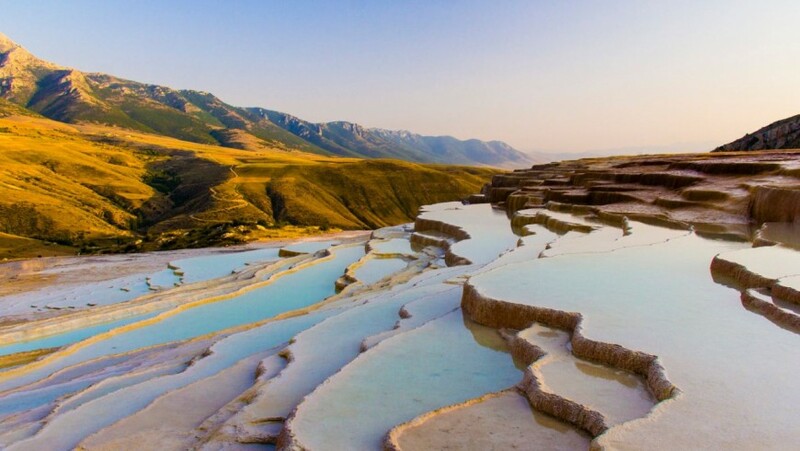 We move in northern Iran, where an explosion of colors await us: the travertine terraces have different colors, creating a surreal landscape. We are in the heart of Yellowstone National Park, in front of an incredible landscape that leaves you speechless. 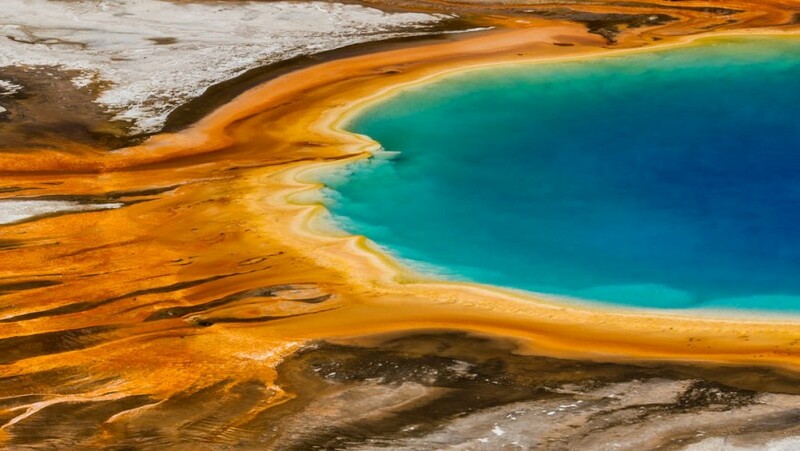 In this thermal area there’s the Grand Prismatic Sprin, a lake that during summer is red and orange, while the in winter shades of green predominate. 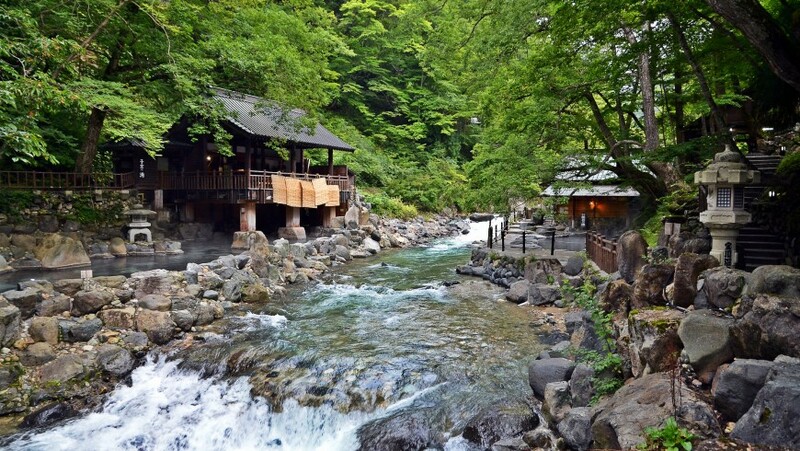 The high temperature water does not allow to take a bath, but this natural hot springs is so beautiful that you will be happy anyway. Green Tip: inside Yellowstone Park you can find more than 1110 kilometers of trails, that you can do by foot or by bicycle. This entry was posted in journeys and tagged free hot springs, hot springs. Bookmark the permalink.